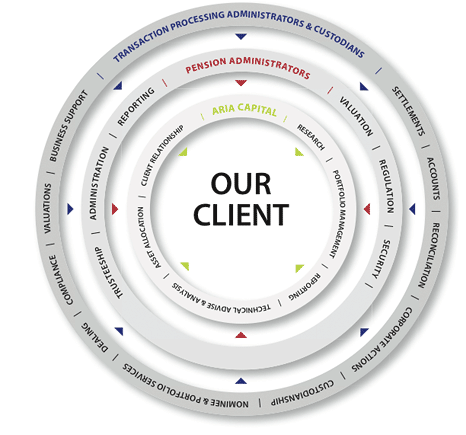 Aria Capital employs the extensive resources of its trusted outsource partners to manage transaction administration, recording, reporting and pension trusteeship. We exercise care and due diligence in the choice of our partners and agents and we review and monitor their performance on an ongoing basis. These partners are completely independent of Aria Capital which means that our in-­house team can focus on providing advice and service to clients safe in the knowledge that assets are independently and professionally administered, held, valued and reported.